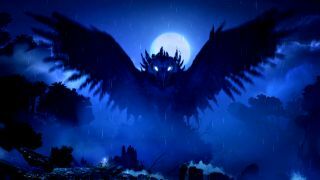 Ori and the Blind Forest is gorgeous, fun, and tough, and enough of a hit that a Definitive Edition, with new areas and mechanics, was announced this summer. The plan, as noted by Gamespot, was to have the new version out for the fall, which as you may have noticed did not happen. And yesterday, developer Moon Studios revealed on Twitter that the update won't be out until early-ish in 2016. Specific reasons for the delay weren't given, but the trouble can most likely be traced back to the fact that this is apparently going to be a very big update. The Definitive Edition will have "new areas, new abilities, more story, more features, more everything!" the studio tweeted in a follow-up. "Built with the same care and love as the original game." The Definitive Edition won't be free for owners of the original, but it will be available to them as DLC at a discounted price. The cost hasn't been revealed, but if this looks like your cup of tea you can score the original release for 12 bucks—that's 40 percent off its regular price—during the Steam Winter Sale, which runs until January 4.